The contact card is the heart of SALESmanago CRM module and a real control panel that has undergone some serious changes recently! Check the modifications we’ve made to make the access to the data on contact card even more seamless and adapted to the individual needs of every user of our system. What is the contact card? The contact card is an essential element of the SALESmanago CRM module. Here you’ll find the whole set of data about every one of your customers and leads that makes for a complete behavioral and transactional data, here also you can perform all kinds of actions to manage this information. It’s worth saying that a Marketing Automation system with integrated CRM module is the key to an effective use of the data you collect about your customers. All information that you acquire both offline and online (e.g. 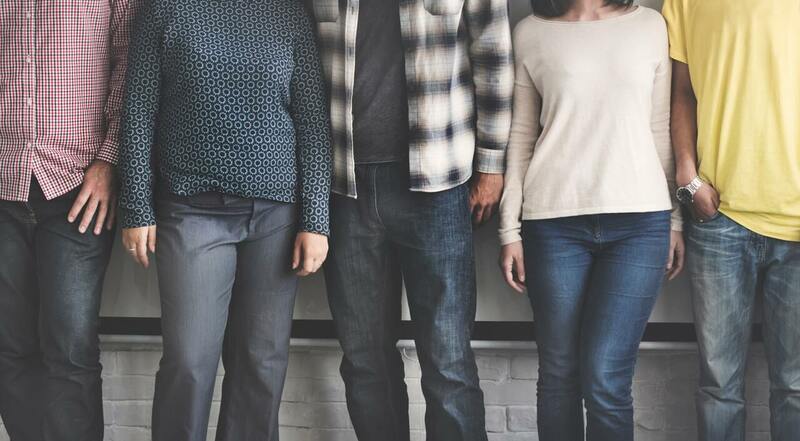 via Lead Generation or monitoring the visitors’ behavior on the website) and keep in your CRM, can be used to personalize your marketing and sales activities. In the new version of contact card we have introduced the option of adapting the information displayed on the dashboard to your own needs. This way you can choose what sections will be shown on the screen and arrange them as you wish. 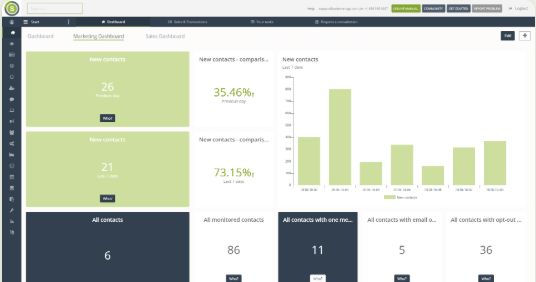 How to personalize the contact card dashboard? It’s simple: click the “Personalize dashboard” button and check the elements you want to see on the screen. If you leave the option “Block editing” unchecked, you’ll be able to move the sections on the dashboard by dragging and dropping them into the desired place. See how easy it is! Start using our CRM for free! Every data you acquire about the contact is saved on his individual card in the SALESmanago system. Email address is essential, because it’s necessary to create the contact card. Other information shown on the card depend on the data that you collect and how you use the platform. The basic information is displayed on the top of the dashboard. This section includes the contact’s name and surname, contact details such as email, phone, address, fax etc., company, date of birth and contact ID. The scoring of the contact is also displayed here. Timeline: contact activity presented on a timeline. You can adapt the information that is showing in this section. eCommerce: information about the contact’s purchases: the overall value, the average value of the cart and the number of transactions. Tags: a list of tags assigned to the user manually or automatically by the means of rules or workflows. Tasks related to the contact that also can be added manually or automatically. Standard details and dictionary details: list of details, i.e. additional information that expand the possibilities of your database segmentation; they can be modified or added here. List of sales campaigns: an insight into stages in sales funnels in which the contact is currently at. Owners: users that are the contact’s owners and the option of changing this configuration. Details and tags: in this section you can manage tags and details assigned to the contact and upload files to the repository. 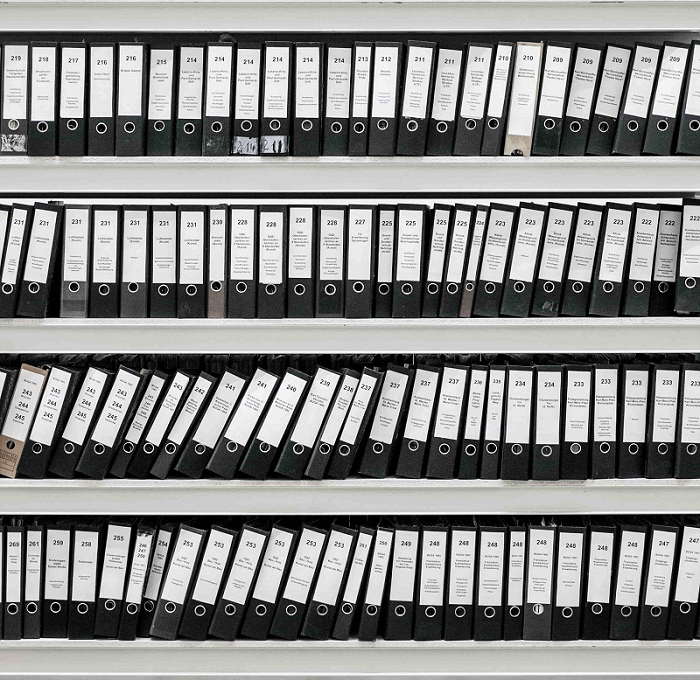 Rules and workflow: information about executed or planned automation rules and workflows. The option of manual rule activation without checking the conditions is also available here. Messages: a list of emails, SMS and Web Push notifications sent to the contact. Visits: the contact’s visits registered on monitored websites and data about devices, operating systems and browsers used. Analytics: charts showing hourly and weekly analytics of contact’s activity regarding its visits on the website, emails openings or external events. Notes and tasks: an overview of notes and tasks assigned to the contact and the option of adding new ones. Sales and funnels: an insight into the sales process and the information about sales campaigns in which the contact participates. 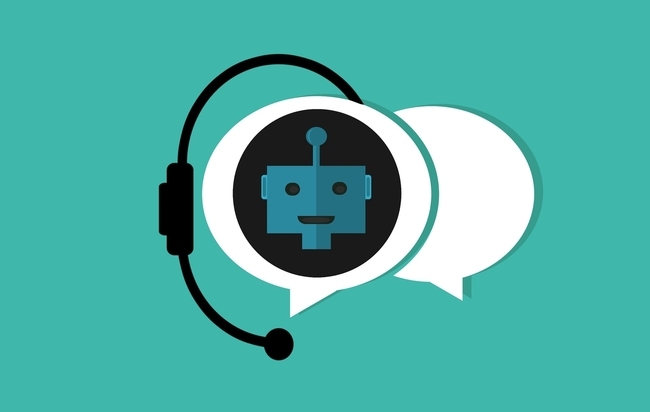 AI Recommendations: products from chosen e-shop recommended for the contact as per every recommendation type, selected by the SALESmanago Copernicus Machine Learning & Artificial Intelligence engine. External events and coupons: a list of external events sent via API (for example, an online purchase) and coupons available for the contact with the possibility of adding them manually. Consents: here you can check the consent’s status, thus find out if the contact gave consent to the processing of his personal data and receiving commercial communication. Company: information about the contact’s company and work position, particularly useful in B2B. Other: actions performed in SALESmanago system towards the contact (contact creation, assigning owner), list of forms filled and files downloaded. Managing consents: subscribing or unsubscribing contacts from mailing list, receiving SMS and Web Push notifications. Remember that if you opt-in a contact, you should have his documented consent to do so! Actions: such as stop monitoring (to stop collecting data about contact behavior); forgetting the contact (to delete all the data from the system); generating URL to start monitoring the contact; exporting data about the contact and finally, deleting it. Adding or deleting tags, standard details and dictionary details. Adding file to the repository. Adding, editing or deleting a task or a note. Moving the contact to another stage in a sales funnel. 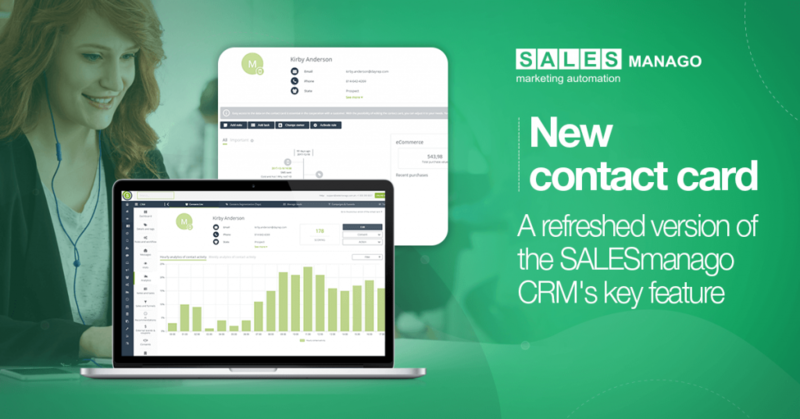 The new contact card in SALESmanago lets you grab all the benefits from having a CRM module integrated within your Marketing Automation system. The data saved in the contact card enable to significantly streamline the sales processes and establish fruitful relationships with customers, as it can be used to automate marketing and sales campaigns, as well as to direct communication with the customer that therefore will become more effective due to the comprehensive view of the customer behavioral and transactional profile and the full understanding of his needs.